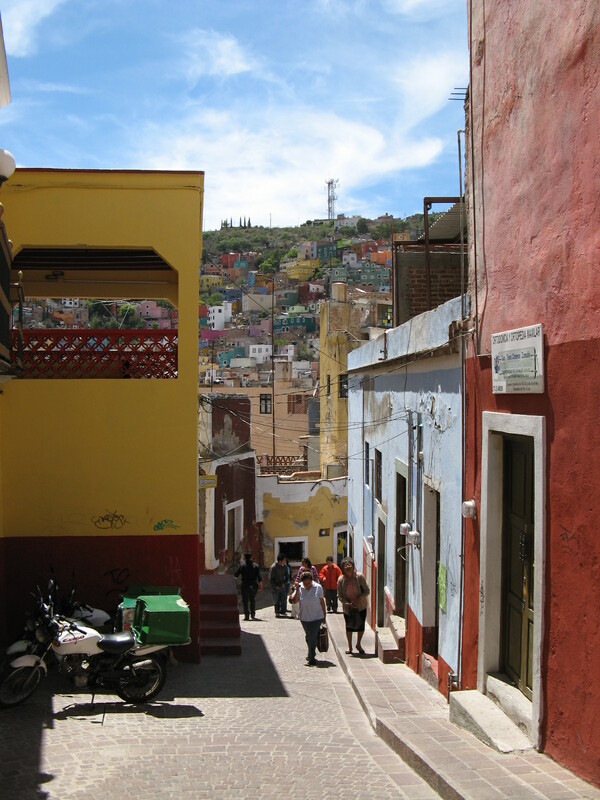 When Barbara Kingsolver spoke here in February, she said that Mexico was her favorite country in the world except her own (one’s native country, she said–and I agree–is like one’s family: love ’em, hate ’em, they’re yours), and one reason she gave was the fabulous colors “on the outsides of buildings.” She also credited cilantro and lime, so I’m with her on all counts, but I won’t particularly miss the cilantro and lime because I can get those at home–though the super-juicy Mexican limones are hard to find, now that I think of it . 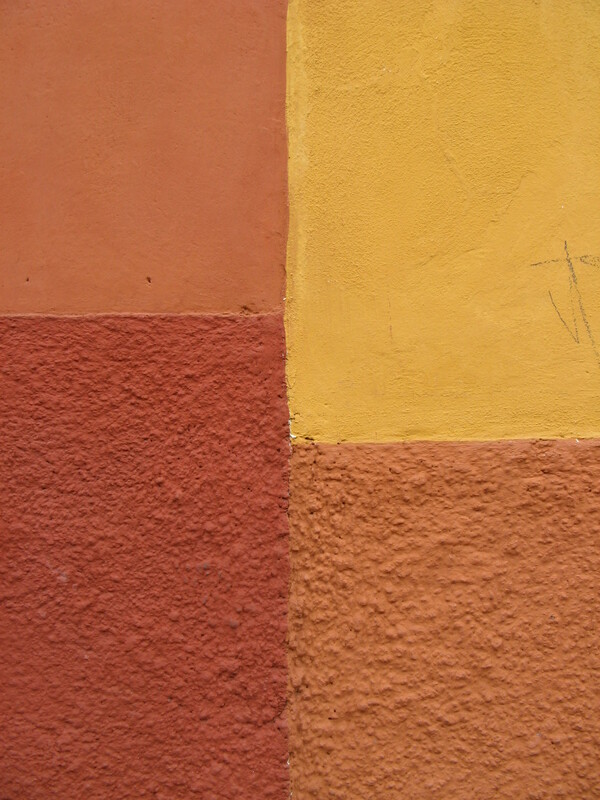 . . anyway, what I’ll really miss are the colors of the walls. 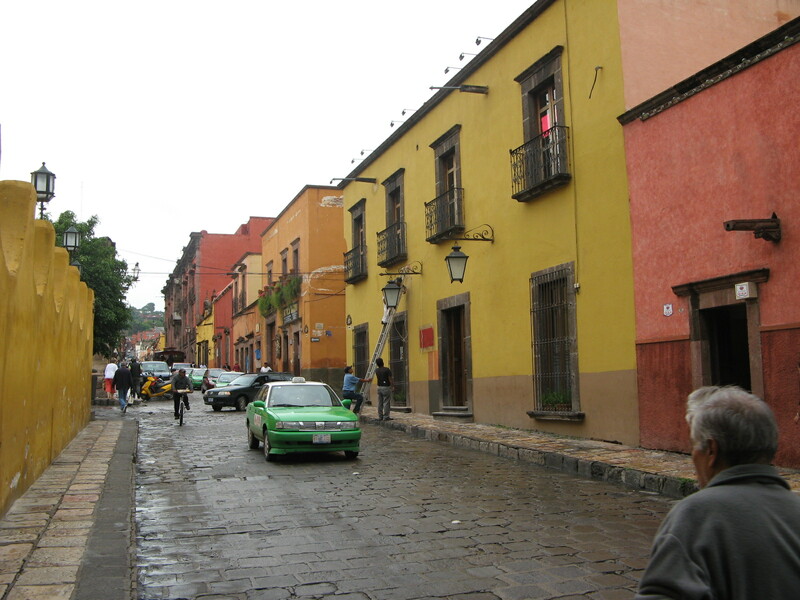 San Miguel’s buildings have colors unusual to an estadounidense, but still don’t have a lot of variation, in general, being mostly yellows, rusty oranges, and reds. 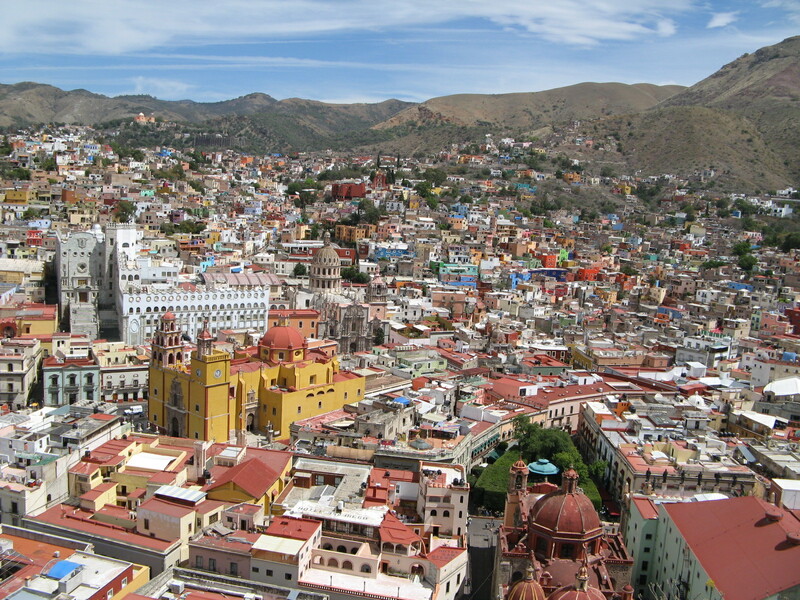 When we went to Guanajuato, the capital city of this state, with my mom in March, one thing that jumped to the eye was how wild the color choices in Guanajuato were in contrast. Check out those deep blues and purples, and lime greens. 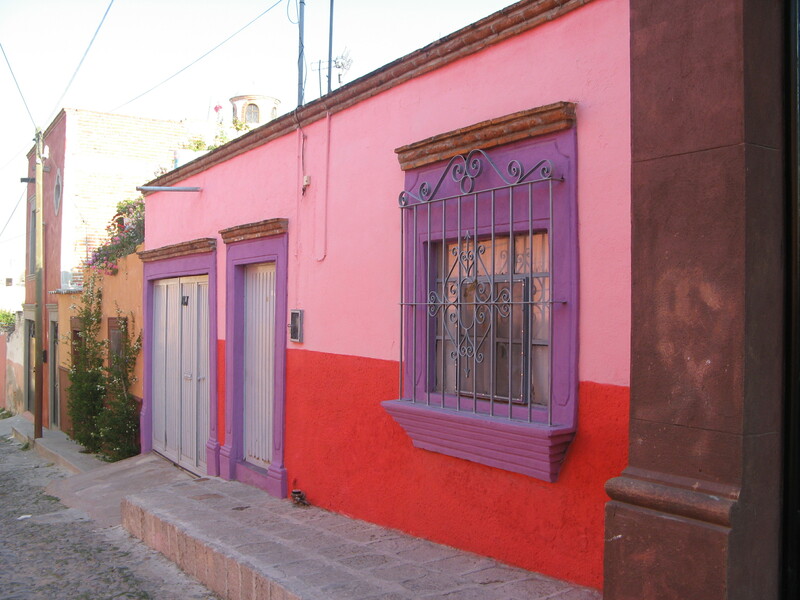 Even so, just the San Miguel palette is lovely to see, and with the common practice of painting the lower few feet of a building in a contrasting shade, you get some beautiful combinations where two properties meet. 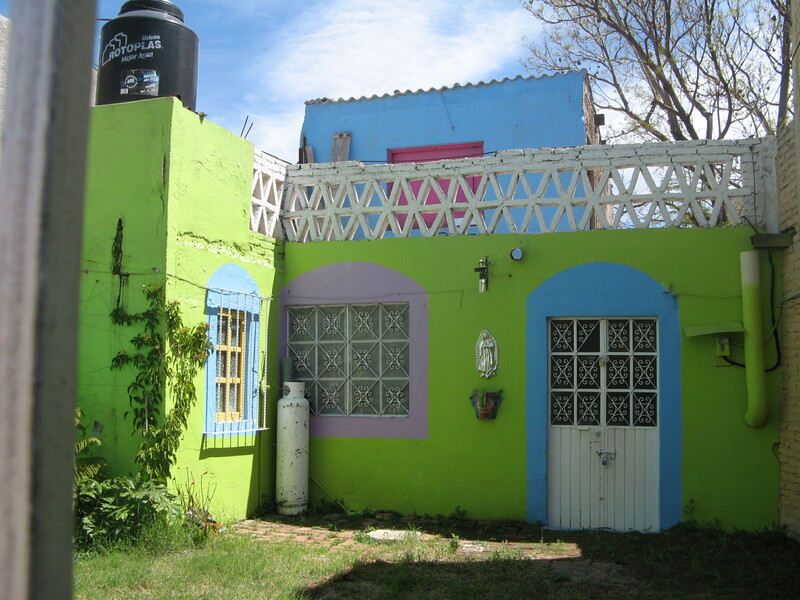 We all love this one, also in our colonia.